Snow and Papaya Orange is providing the perfect contrast for this photoshoot by spotter "olivierlessard". 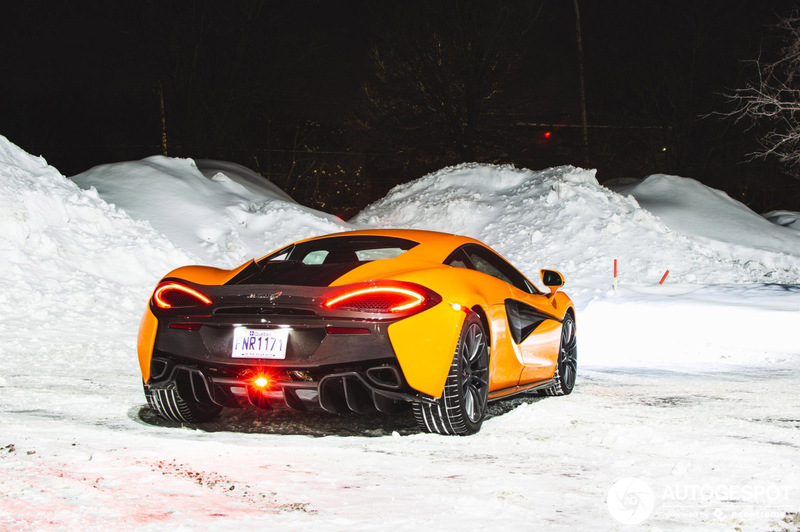 The winters in Quebec are brutal and with an average snowfall of 120 inches a year you don't expect to see many exotics on the road, especially a rear-wheel drive McLaren. 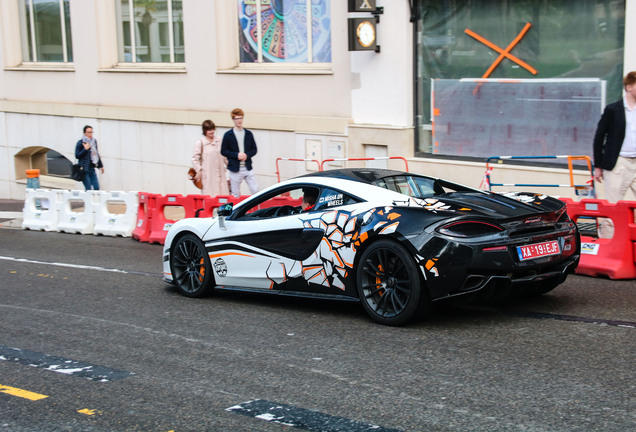 Recently McLaren teamed up with Pirelli to get a grip on winter with specialized wheel and tyre set for Sports Series models. 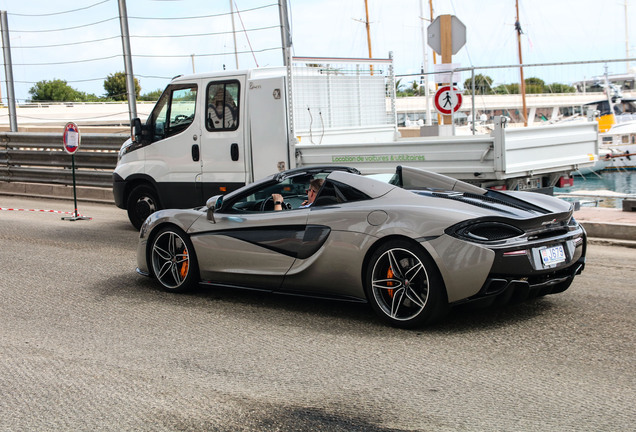 The McLaren Winter Wheels and Tires set consists of four, 14-spoke Lightweight Forged wheels in Stealth finish, fitted with Pirelli MC Sottozero 3 winter tires and incorporating the McLaren tyre pressure monitoring system. Even in countries where winter tyres are not a seasonal legal requirement, fitting them is a wise move in cold, wet weather or if snow is a possibility. 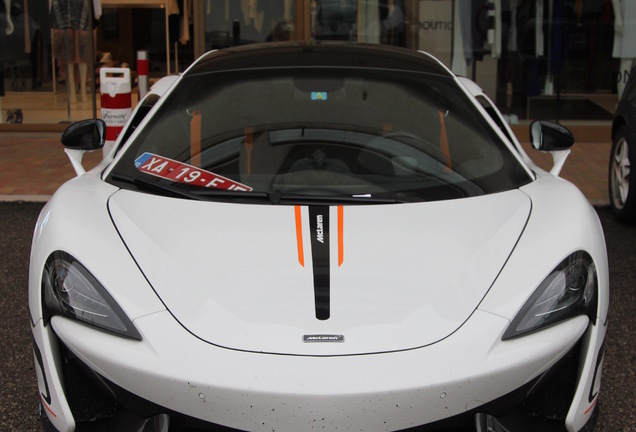 Pirelli MC Sottozero 3 tyres are branded with the ‘MC’ seal of approval and designed specifically for McLaren fitment to deliver optimal grip and control in adverse conditions. With a tread pattern that has a high drainage level reducing the chance of hydroplaning, the tyres provide maximum possible grip. 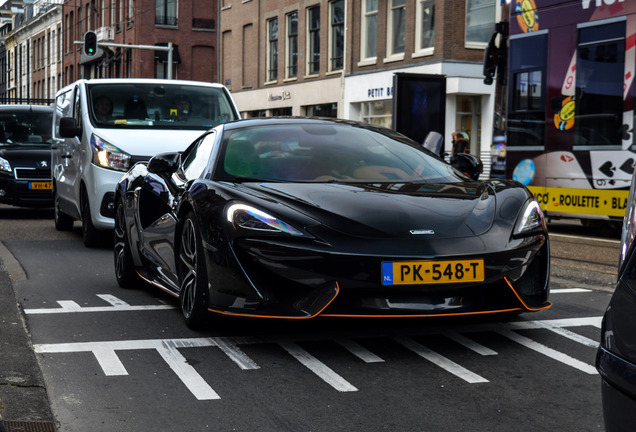 They are effective on wet and dry roads when temperatures are low but not necessarily at freezing point; as a guide, once the ambient temperature regularly drops below 7 degrees Celsius (44 degrees Fahrenheit), both McLaren and Pirelli recommend the use of winter tires. Braking performance in poor road and weather conditions can also be significantly improved by fitting winter tires. 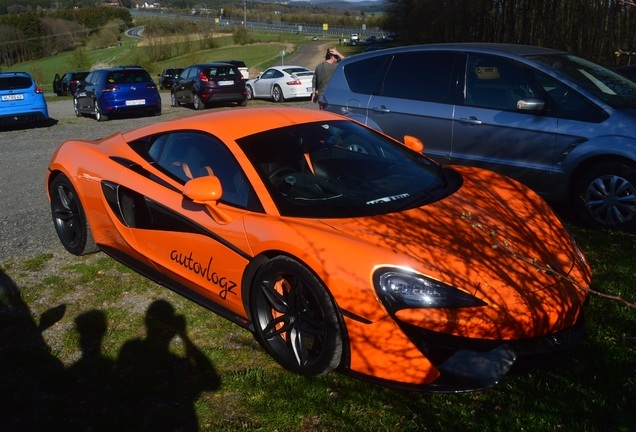 In comparison to summer tyres, the Pirelli MC Sottozero 3 could reduce the cold-weather stopping distance of a McLaren Sports Series car by 10% in wet conditions and by up to 20% on snowy roads.